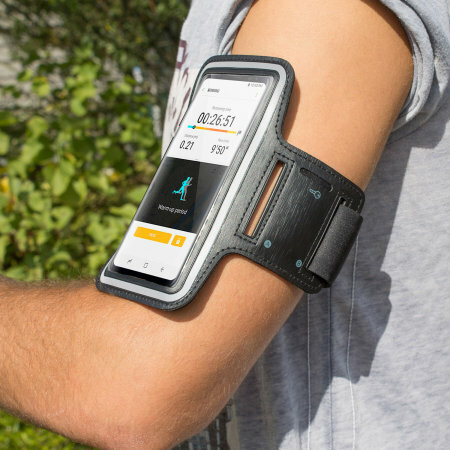 Carry your smartphone securely while you're exercising using the Universal Armband for Large-Sized Smartphones in black. 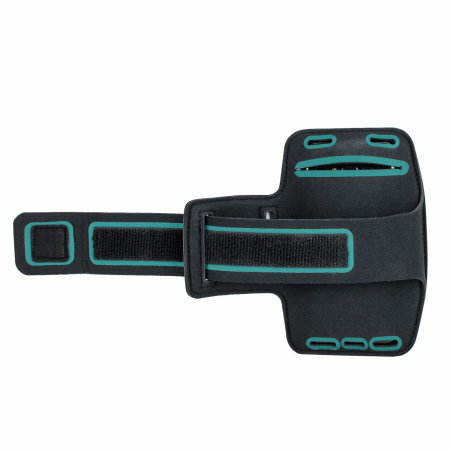 This comfortable armband is adjustable and made out of a lightweight and breathable material. 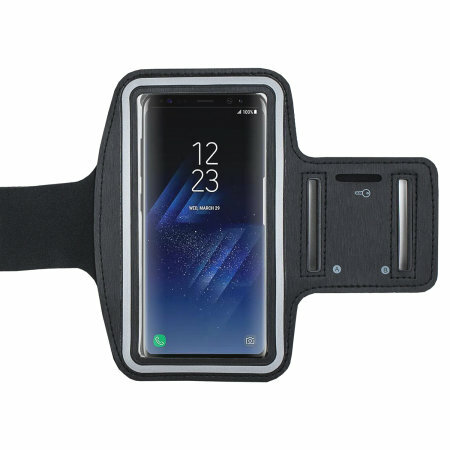 Good basic phone armband. Keeps my phone safe when I'm walking or jogging, has holes so I can use headphones while wearing it. Wasn't expensive and does what I bought it for. 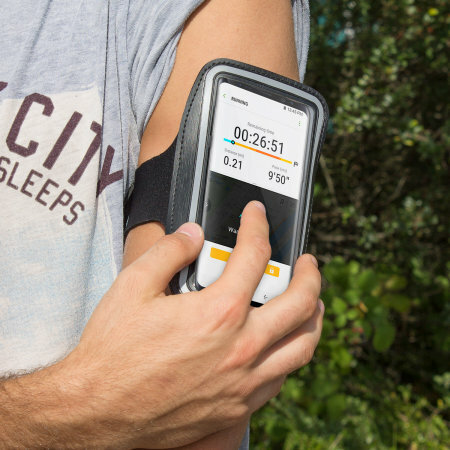 Universal Armband for Large-Sized Smartphones is built to survive the rigours of even the most intense workout regime. It has an adjustable strap with a secure hook and loop fastener that is suitable for arm sizes of 10" to 15". 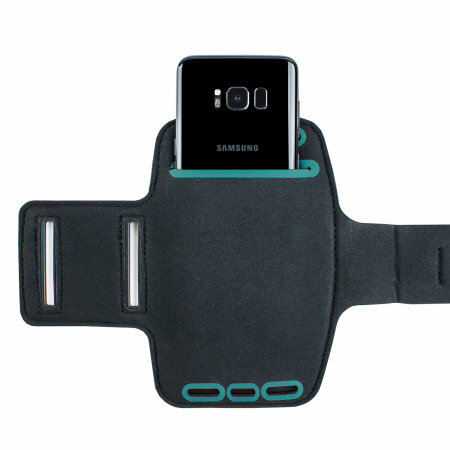 This armband is universal so it can accommodate various large-sized smartphones. 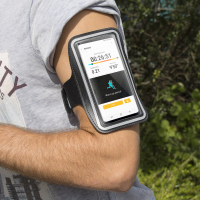 The Universal Armband for Large-Sized Smartphones has been designed to fit phones with dimensions no larger than 152 x 80 x 10 mm. When in the armband, the whole of your smartphone is covered, so you don't have to worry about it falling out. The screen cover is made from a plastic material that allows you to operate your devices touchscreen, so you can access all your apps and control your music without having to stop to take the phone out of the armband. Whether working out at the gym or running outside, you'll need a place to store your house key where there's no risk of it falling out. The Universal Armband for Large-Sized Smartphones has a slot pocket right next to where your phone will be, so when you have the armband on, the key will be pressed flat against your arm eliminating the risk of losing it.